So they say the Spring has Sprung – well no one told the weather that for the first round of the British Championship. Slieve Donard could not be seen for the mist at the start of the race. With many losing there way it was Allan Bogle who came home to take the victory in a time of 1:05:25 with the womens race being won by Jacqueline Lee of Eryri Harriers in a time of 1:24:14. 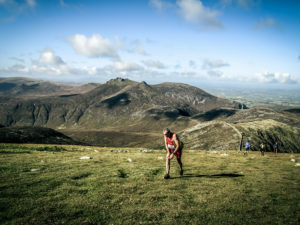 Previous story Special Preview: Donard Challenge inc British Championship 2014.